First you need to create an account in Squarespace. 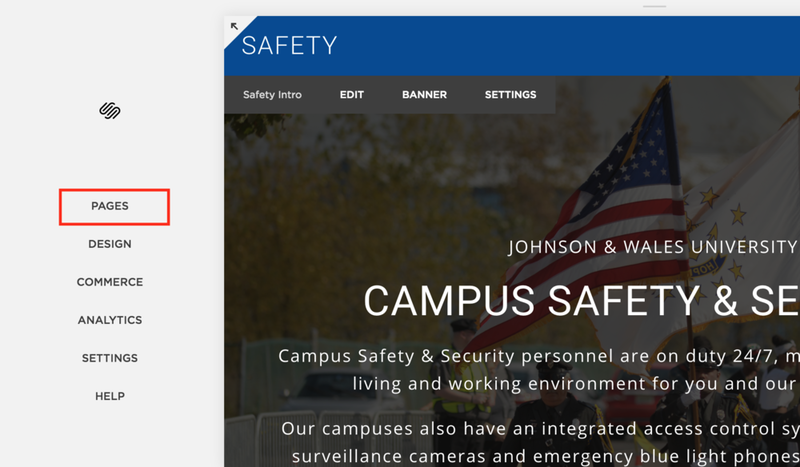 (Squarespace is the content management system that hosts your Safety website). You will receive an email inviting you to set up an account. Create your account. Choose whichever username and password you prefer. Login with your username/password you have created. 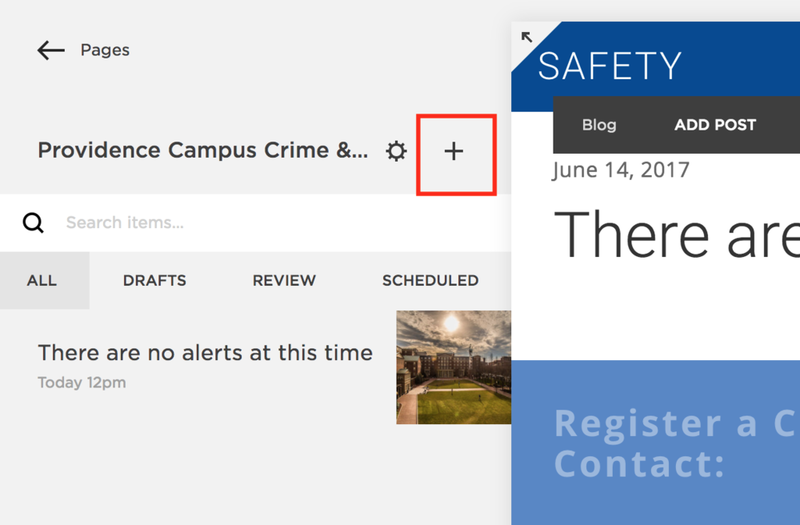 You will see the Safety site. 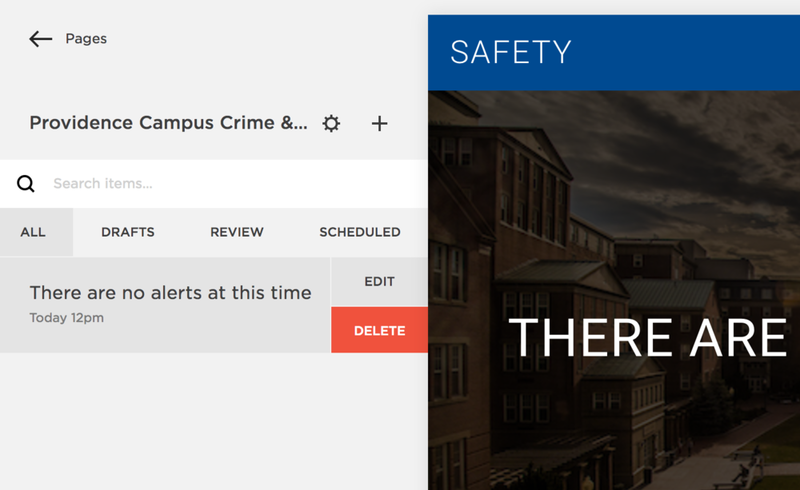 Choose your campus's alerts blog. 4. Click the "+" icon. 5. Enter a title and copy. Highlight the words you want to link. Click the link icon. Click "File." Then click "Add a file." 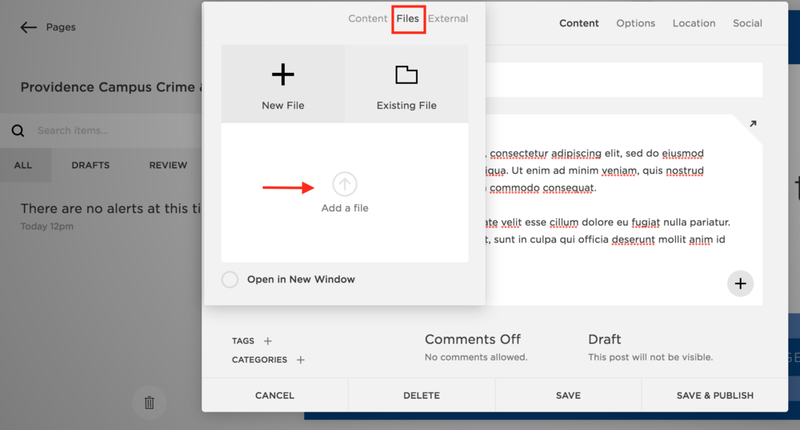 Select the PDF you want to add form your computer. Once it uploads, make sure "Open in a New Window" is selected. Click "Draft," and select "Published." You can schedule the publish date and time if you choose. 8. Click "Save & Publish." Click the alert. Click "Delete."